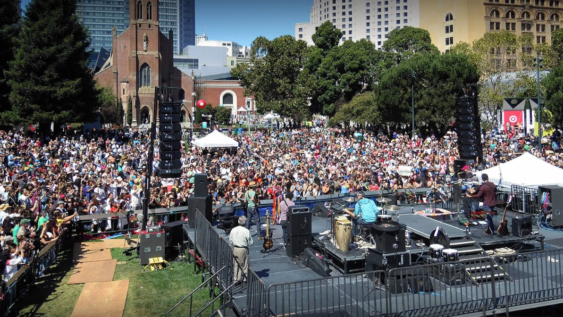 Between May and October in 2019, the Yerba Buena Gardens Festival presents 100 free performances on three outdoor stages in Yerba Buena Gardens. Admission is free and entertainment includes music, theater, dance, cultural events, educational and children’s programs. Passionate fiddler Tom Rigney lays down infectious Cajun and zydeco style music with the backing of his fabulous, sizzling band Flambeau. Flambeau features Danny Caron (electric guitar), Caroline Dahl (piano), Brent Rampone (drums), and Steve Parks (electric bass).